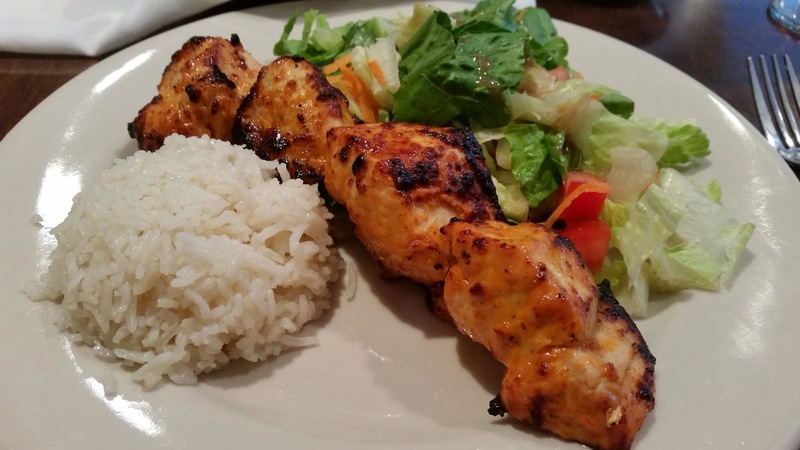 Turkish Meze is a Turkish restaurant in Mamaroneck NY, right by the Metro North station. It serves standard fare middle eastern food such as falafel, humus, doner, gyro, and shish kebab. Worth noting though – it has an excellent lunch menu and for a little more than $10, you get an appetizer and an entrée, which is precisely what I did. 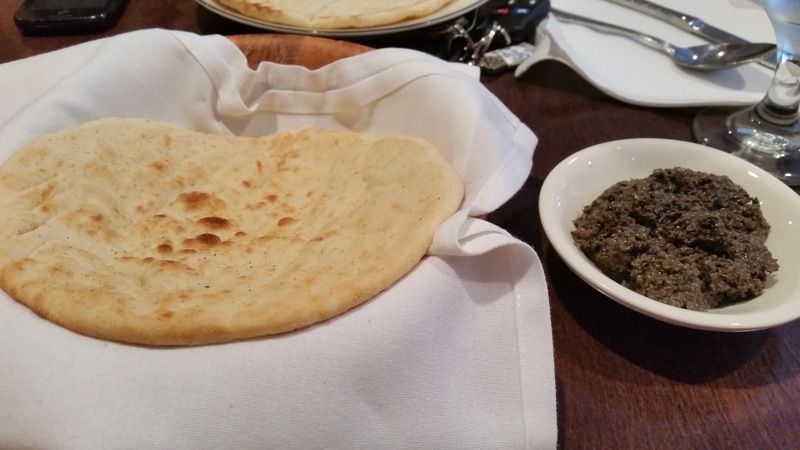 The meal began with warm pita bread covered in napkins and some olive tapenade. My dining companion was extremely satisfied with the olive tapenade and used it on the courses following. 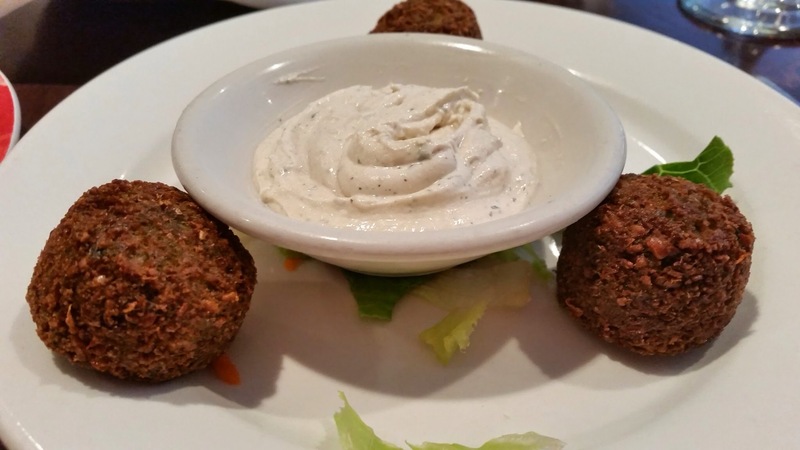 These are the crispy falafel served with tahini. Both my friend and I ordered the same entrée. This is the Grilled Chicken Shish Kebab. Not bad. If you want a decent and cheap lunch, here is the place to come. Nothing to jump up and down about but satisfactory enough for the tummy and the pocket-book.